Salaam beautiful peoples! YouTube recently added a new visual way to select different ads types in your videos. Get Ready for New Youtube Monetization Options for Creators! Want to know more about YouTube Monetization? Today we talk about Latest YouTube Monetization Option Updates? Don't forget to Subscribe and Join 1000+ other subscribers for direct updates in your inbox. YouTube doesn’t need any introduction as it is one of the most popular websites all around the globe. It is not only an entertainment platform but also the point for the business. One can earn from this site by uploading the videos and earning the views. The earning method in YouTube is quite easy and they are making it more beneficial for the creators. Now, YouTube has introduced 3 new YouTube monetization options which are awesome as you. Salaam beautiful peoples! Get Ready for New Youtube Monetization Options for Creators! YouTube recently added a new visual way to select different ads types in your videos. Want to know more about YouTube Monetization Updates? Today we talk about Latest YouTube Monetization Options? Don't forget to Subscribe and Join 1000+ other subscribers for direct updates in your inbox. YouTube doesn’t need any introduction as it is one of the most popular websites all around the globe. It is not only an entertainment platform but also the point for the business. One can earn from this site by uploading the videos and earning the views. The earning method in YouTube is quite easy and they are making it more beneficial for the creators. Now, YouTube has introduced 3 new YouTube monetization options which are awesome as you. 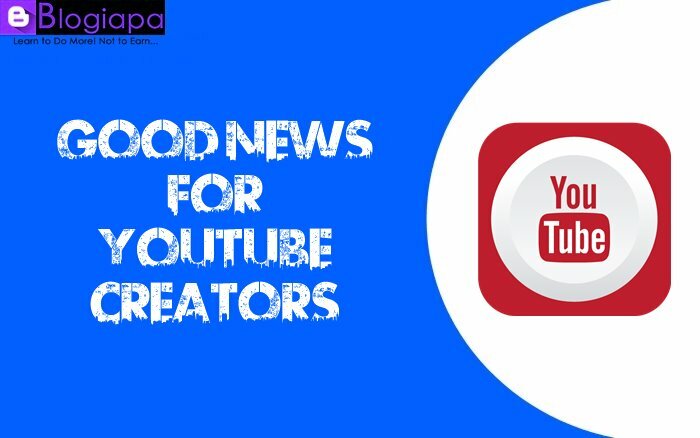 The options are beneficial for the YouTube creators so that they can earn more efficiently and effectively. This feature will allow the channel creator to charge the users for the contents. One can charge $4.99 for specific contents which may contain videos, emoji, review or anything else. It means that the channel creator can create specific exclusive content and the users can view it by paying the fee that the creator has set. But it will be available to the members which have more than 100,000 subscribers. In this way, the channel creators can create more effective contents and can earn more money. This feature will allow the creator to show his/her merchandise beneath under the video. If someone has any e-store and want to showcase it in his videos than its possible now. but the main requirement is that one should contact his/her store with the channel. This feature will allow the member to gain double benefits; one is video view and other is e-store promotion. The member can adjust the section for merchandise according to his/her own choice. before that, they have to describe their store in the description of the video which most people don’t bother to open. Through this feature, one can show all the pre-recorded video in a live stream on the public landing page. Moreover, such videos can also interact with the followers when goes online. The user will pin their comment on top of the stream and hence can benefit the supper chat. Although YouTube has many problems with it as some YouTube members have complained about their channel gets demonetize without any reason and many more. They are trying to introduce more and more content instead of covering the previous. Hope these new features will work properly and provide benefit to the consumers. These new options might be just the ticket to help the site’s content creators make money from their hard work while not slackening its policies against controversial content.